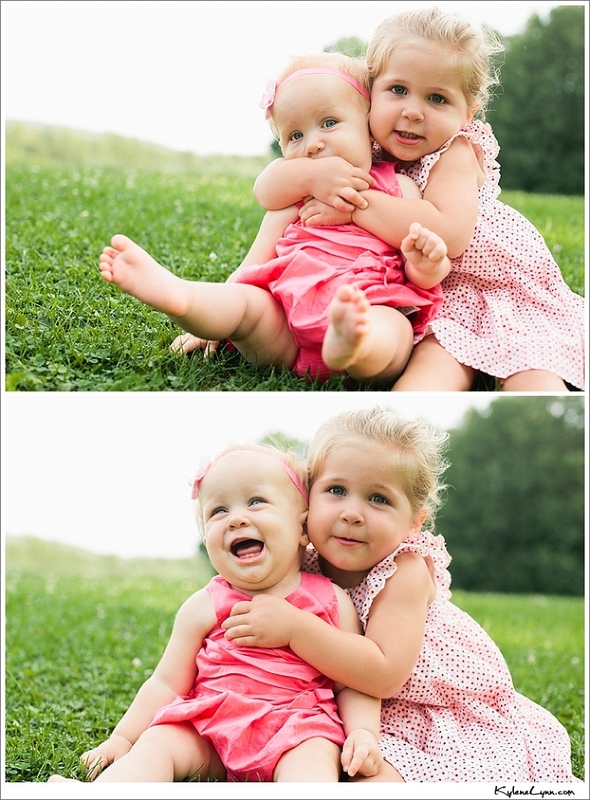 Telling a 2.5 year old to hug her sister can produce very funny results! This cracks me up! Thankfully, we got a smiling one, too!